Ah true love! And that's exactly what Westley is expressing when he tells Buttercup "as you wish!" 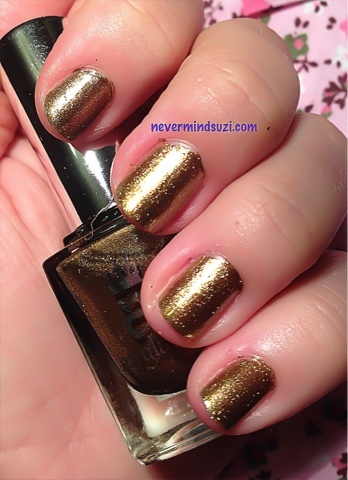 This is a lovely gold holographic polish. I wasn't sure how opaque this would be so to save my mini bottle I popped it over A England - Holy Grail (v.2).